Oil production has been crucial in fostering not only economic but social growth in Brazil, but now the country is gripped by economic crisis and political instability. 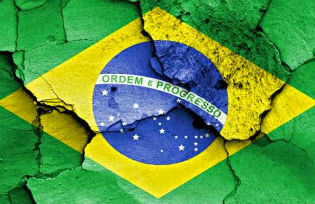 The process of growth and modernization in Brazil in the last fifteen years has always been described as an example to be followed by other developing countries. Today, however, the Brazilian ‘locomotive’ has stopped. The country is going through a dramatic period of political and economic instability. The Olympic Games in 2016 should have been a very special occasion for a show of Brazilian power before an international audience, but they revealed instead the structural weaknesses of a country full of ambiguities and contradictions. The so-called South American China has been temporarily buried under the rubble of the Petrobras inquiry and the negative effects of the economic crisis. Oil wealth appears to be, yet again, not a blessing but a curse. “In a broader sense, hydrocarbons and their perceived scarcity, their monetization and related weaponization are serving the interests of a coercive and restrictive status quo, rather than being an incentive for development”, says Professor Anis H. Bajrektarevic. To describe what is happening in Brazil, we need to focus on oil, because black gold is the embodiment of the success – and fall – of the Brazilian economy. One the key drivers of Brazilian economic growth in the last decades has been the production and export of natural resources and related products. If we look at Brazil’s GDP between 1982 and 2015, three main trends can be observed. First, a stable growth pattern from 1982 to 2002. Two, the GDP rocketing up between 2003 and 2012, with a light slowdown in 2009-2010 due to the global financial crisis. Three, a fall in GDP values between 2012 and 2015. Analyzing the evolution of the annual percentage of GDP growth, no specific trend can be identified. The most that can be said is that GDP grew at around a constant 5% rate between 2004 and 2008. This substantial GDP rise translated into not just economic growth, but also a significant improvement in the social-economic status of millions of poor Brazilian citizens. Taking 2001 as a referent, the level of absolute poverty – defined as the percentage of the population living with less than two dollars per day – decreased by 12%. And the level of relative poverty – defined as the percentange of people earning less than 50% of the average income – fell by 25% between 2002 and 2013. The value of exports and natural resource-related activities for the Brazilian economy is represented by their proportion of total GDP. As shown in Graph 3, oil has been one of the drivers of the Brazilian boom in the 2000s. Its incidence on Brazil’s GDP increased remarkably from 1999 onwards and reached its peak during the 2000s. Between 2003 and 2006, rents from oil were about 3% of total GDP. Graph 4 shows the cost of oil per barrel from 1980 to 2015. It should be borne in mind that the most important oil reserve in Brazil, Pré-Sal, is competing in a market where, to be profitable, the going price must be at least 70 dollars per barrel. The fall of the international price of oil, therefore, severely penalized the Brazilian economy, which was already harmed by the fall in Chinese demand and the slowdown of foreign direct investment (FDI). The story of Erike Batista is bound to the rise and fall of the Brazilian economy. Batista was one of the richest men in the world, ranking 8 in the Forbes index, with an estimated fortune of 30 billion dollars in 2012. This changed dramatically in 2014, when he admitted to the loss of his wealth and to an outstanding debt of one billion dollars. How did this come about? How is it possible to lose a whopping 30 billion dollars wealth? The rise and fall of this self-made billionaire have to do with oil. In the 1980s, after getting his degree in metallurgic studies, Batista went to the Amazon forest to install machinery for searching and extracting gold. In 1983, he bought in the Canadian stock exchange a small society for the extraction and trade of natural resources, the value of which jumped to 1.7 billion dollars in a few years. In 2002 he sold the company for 875 million. The devaluation of the asset was due to wrong investments done by the society in Greece, Russia and the Czech Republic. Batista jumped on new opportunities during Brazil’s economic boom. Between 2001 and 2002 he created and later sold two companies to the Brazilian state: a thermo-dynamics and an iron production company. But the holding that made Batista a billionaire was OGX (Petróleo e Gás Participaçoes), specialized in prospecting and refinement of oil and gas. The market strategy of OGX was aggressive from the very beginning. In 2007, it obtained exploration rights in 21 areas by doubling the amount offered by its competitors. The following year, OGX was producing oil at a cost of 145 dollars per barrel and announced that it would be ready to produce one million barrels per day in 2019. Batista’s ambitions and his confidence in Brazil’s economy encouraged him to invest heavily in the building of a port at Acu, 400 km away from Rio de Janeiro. The project aimed at creating a centre for the refinement and trade of oil products, and to radically increase OGX’s productivity. From 2008 onwards, Brazilian justice began investigating the bribes that Batista allegedly gave the Governor of Amapà, Waldex Góez, in exchange for certain privileges for his companies. Even though the media caught wind of the investigation, the case was eventually closed without charges. The slowdown of the Brazilian economy and the falling price of the oil barrel led foreign investors and shareholders to reduce their stakes in Batista’s companies. The final blow was the decision by Mudabala Development, the Abu Dhabi fund, to pull out of EBX – one of Batista’s holdings – and to liquidate all their stock options, which totalled 1.5 billion dollars. The liquidity of Batista’s companies which, having invested a lot of money, survived using financial leverage, was then cut. Like a balloon, EBX snapped under the weight of financial debt, and Batista lost all of his assets. In March 2014, a group of Brazilian judges began investigating the relationship between the Worker’s Party and Brazil’s publicly owned oil company Petrobras. The indications were that executive directors of Petrobras and of the main building societies (BTP) had developed a corrupt system through which BTP received contracts for the construction of oil platforms and increased the building costs between 1% and 3%. In exchange, the government parties allegedly obtained illegal funds to foot the bill of their political campaigns. The companies involved were Camargo Corrêa, Oas, Utc-Constram, Odebrecht, Mendes Júnior, Engevix, Queiroz Galvão, Iesa Óleo & Gás e Galvão Engenharia. The parties involved were the Workers’ Party, the Brazilian Democratic Movement Party (PMDB) and the Progressive Party (PP). The main consequence of the inquiry was the delegitimizing of the Workers’ Party, the party that led Brazil from 2002 onwards. President Dilma Rousseff, the successor of Lula da Silva, was forced to leave office despite the fact that she was not included in the investigation. She had already endured pressure to resign for her knowledge of systematic corruption as Chairman of Petrobras and Minister of Energy (2003-2005). But Rousseff’s impeachment had to do with the accusation that she transferred public funds from national banks to finance social expenses beyond the amount, which in Brazil is fixed by law, for public expenditure. The charges that led to her dismissal did not include the Petrobras scandal. On the other hand, Eduardo Cunha, the leader of the group that called for Dilma’s impeachment, was not only found to have a secret million dollar bank account in Switzerland, but was also barred from assuming any public position for eight years due to an investigation into his involvement in corruption and bribes. Prominent members of left-wing parties throughout the region and the world referred to an alleged political conspiracy to dismiss the Workers’ Party. According to them, the Brazilian elite and its international counterparts used the global economic crisis to destroy the consensus behind Lula’s and Rousseff’s party, which had always had significant popular support. In 2002, Lula won the elections with 46.4% of the votes; the opposing candidate, José Serra, only got 23.3%. In 2006, Lula was re-elected with 48.6% of the votes. In 2010, his successor Dilma Rousseff won the elections with 46.9% of the votes. And in 2014, even though she experienced a small decline, Rousseff was re-elected with 41.6% of the votes. From 2002, the successive Brazilian governments made enemies in the international markets due to their policies of nationalizing and quasi-nationalizing natural resources. Petrobras, for example, which was founded in 1953, had been partially privatized during the 1990s. In 2007, Lula launched a public opinion campaign to get the company back under state control. In addition, in order to prevent the private exploitation of the Pré-Sal oil reserves, Lula’s government passed a law giving Petrobras the monopoly to explore and extract oil from the area. Some influential voices, including independent Brazilian experts and academics, have raised concerns about the nature of Rousseff’s impeachment process. Pedro Fassoni Arruda has argued that there were hidden powers behind it, and that these were also involved in the coup d’état in 1964. In a similar vein, Pablo Ortellado has criticised the framing of Rousseff in the media. Fernando Sapelli contends that since the modern political history of Brazil is characterized by a deep fragmentation, every President has to deal with many small personalist parties. And that the external support that every government in Brazil needs has generated a corruption system that is intrinsic to Brazilian society. Many experts believe that judicial action is key to getting back the markets and the investors’ trust in Brazilian institutions, by cutting the ambiguous bonds between parties and companies, thus helping to make the legal framework more stable and safe and strengthening the rule of law. The message that Brazil should send the world is that whoever is found to be corrupted, no matter what his or her status may be, will be punished. The Brazilian parliament has recently passed a law abolishing Petrobras’s monopoly on Pré-Sal, which shows every sign of being just the first step of a much larger privatization project pursued by President Michel Temer – a project consisting of new, strong liberalization policies for Brazilian natural resources, so that the country can offer multinational corporations some interesting opportunities for business and investment. It does seem that the destiny of Brazil in the foreseeable future will be defined, yet again, by black gold – for better or worse. Nicola Bilotta has a BA and a MA in History from Università degli Studi di Milano and a MSc in Economic History from the London School of Economics. He works as a Global Finance Research Assistant at The Banker (Financial Times) and collaborates as an external researcher at ISAG (Istituto di Alti Studi di Geopolitica e Scienze Ausiliari) N_bilotta@lse.ac.uk.